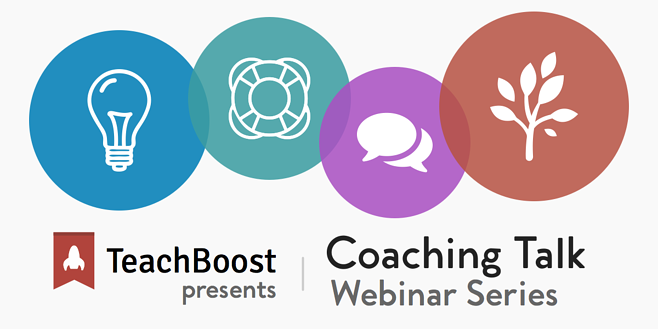 TeachBoost partnered with Ellen Eisenberg and Dan Kreiness for the second webinar of our 2018 coaching series on February 28th at 6pm EST. The second webinar was an insightful conversation between experienced coach and mentor, Ellen Eisenberg, and instructional coach, Dan Kreiness, highlighting support coaches need to be effective—both with their coachee's and personally. The webinar will be approximately 1 hour long with plenty of time for Q&A both during the event and at the end. So bring your pencils and your questions for this enlightening conversation and learn tips, experiences, and best practices from your peers! Dan Kreiness, instructional coach in Derby Public Schools (CT), class of 2017 ASCD emerging leader, "Leader of Learning" podcast host, and TeachBoost guest blogger.